The Trinity is a versatile and unique property offering a variety of space to suit your individual needs. This stunning Five bed family home has no shortage of features. This stylish five bedroom home is designed over two and a half floors. On the ground floor is a kitchen with breakfast area, dining room with glazed bay to the garden and sitting room with bay window. The first floor has a master bedroom with en suite, two double bedrooms and a family bathroom. A double bedroom is on the second floor, with a shower room and single bedroom/study. 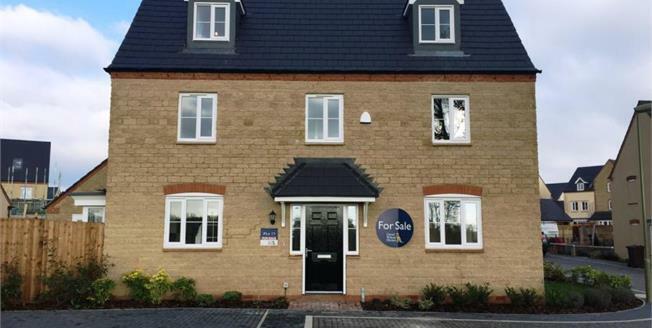 This Property is perfectly situated with in Bicester town with its brilliant travel links to Oxford and London via Train or car. This is a must see property that will not fail to impress.